.Powder coated quality steel components with plastic cap on top. Rotating anvil for permanent stapling, tacking and pinning. 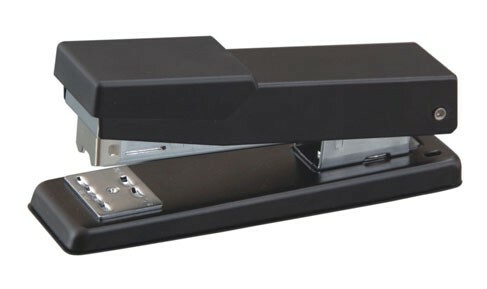 Dual stapler suitable for use with No.10 and 24/6-26/6 staples. Indicate maximum insertion paper depth. The base length of depth is 64mm and breadth is 121mm.